"The fact that the ANSF - a force in its infancy five years ago - can now maintain the gains made by a coalition of 50 nations with the best trained and equipped forces in the world is a significant accomplishment," said the Report on Progress Toward Security and Stability in Afghanistan. "ANSF capabilities are not yet fully self-sustainable, and considerable effort will be required to make progress permanent. After 2014, ANSF sustainability will be at high risk without continued aid from the international community and continued coalition force assistance including institutional advising. With assistance, however, the ANSF will remain on a path towards an enduring ability to overmatch the Taliban," the report said. During the 2012 fighting season, it said, the NATO-led International Security Assistance Force, the international military coalition in Afghanistan, led the fight against the insurgency to put the government "firmly in control of all of Afghanistan's major cities and 34 provincial capitals." That changed this year, with security forces consolidating government control of those urban areas. The security forces "conduct 95 percent of conventional operations and 98 percent of special operations in Afghanistan. The only unilateral operations that ISAF continues to conduct are ISAF force protection, route clearance, and redeployment," it said. The ISAF is helping with advising and "enabling support, such as airlift and close air support." The size of the security forces has nearly doubled since 2009. As of August, the force strength reached 344,602, almost to the goal of 352,000. But as security forces take the lead, they are taking more hits. "ANSF casualties have increased by 79 percent this reporting period compared to the same period last year, while ISAF casualties have dropped by 59 percent," the report said. And even though the security forces have made strides in urban areas, they face challenges elsewhere. The report also said some military elements and insurgents are working out agreements. "As ISAF draws down, some communities and security sector elements are adapting to the changed environment by establishing accommodations between insurgents and elements of the ANSF. These accommodations are localized, often personality-driven, and largely influenced by tribal dynamics. Thus far, most of these accommodations are in the Pashtun-dominated rural areas in southern Afghanistan, particularly in northern Helmand Province," the report said. "In some areas, these accommodations stem from ANSF fears of being isolated and overwhelmed by what they perceive as a superior insurgent force. The Taliban may use these agreements as a mechanism to promote the perception of ANSF weakness, and attempt to regain lost areas, expand influence, or project violence into neighboring areas. However, some local insurgent commanders may also be entering into agreements in recognition of ANSF strength and capability." The question of how many U.S. troops might remain in Afghanistan after 2014 is still unanswered. But indications emerged last month that it may be a relatively small number of troops who stay behind. Without an agreement, U.S. troops would leave Afghanistan with all NATO forces at the end of 2014. The NATO mission now has about 100,000 troops in Afghanistan, about half from the United States. 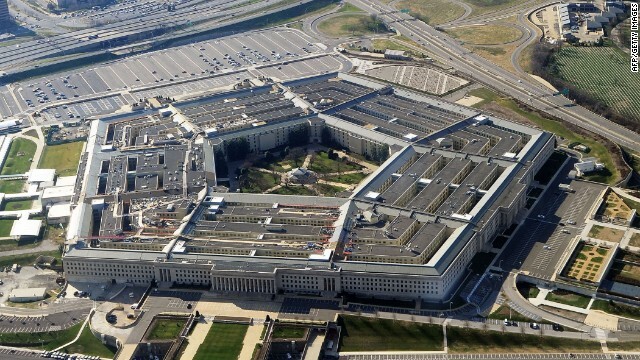 Several military and Pentagon officials told CNN that a central option now being considered calls for a total NATO force of between 8,000 to 12,000 troops, with 3,000 to 4,000 coming from NATO countries and the United States making up the balance. U.S. Secretary of State John Kerry said last month that he and Afghan President Hamid Karzai resolved "the major issues" of an agreement to keep some U.S. military forces in Afghanistan after 2014. But a potential deal-breaker, legal immunity for U.S. troops, was referred to a council of elders. "The insurgency has also consolidated gains in some of the rural areas in which it has traditionally held power," the report said. The report cites challenges with the economy and governance. Despite economic strides, Afghanistan is still poor and its government must reduce corruption. "ANSF progress means that the biggest uncertainties facing Afghanistan are no longer primarily military. Assessing whether the gains to date will be sustainable is now more dependent upon the size and structure of the post-2014 U.S. and North Atlantic Treaty Organization (NATO) presence, the Afghan election in 2014, the level of international support provided to Afghanistan after 2014, and whether Afghanistan can put in place the legal and other structures needed to attract investment and promote growth," the report said. - CNN's Barbara Starr, Alison Harding and David Simpson contributed to this report. Don't forget Stan, that the true reason we invaded Afghanistan back in 2001 is because of it's vast underground mineral resources although the Bush Administration used 9/11 as the official excuse. You are a idiot, George Patton, Joseph McCathy, Phunnie Boy, Jr. You must have some other words to use, doesn't matter but, how many times do you change your handle? If its the same source the message will never change, if your going to pretend to be somebody then come up with alternative thoughts once in a while. This is a good news event, stop trying to make it something its not. If Aghanistan wants to open its country to mining then the country should be able to protect its own industry. The Chinese won the bid for Afghanistan's huge copper resources. Western countries submitted bids, but Kasai's government accepted China's bid. Now China wants to renege on their bid! China has no intention of putting "boots on the ground" to protect their ravenous need for resources. China dependents on the US to protect them! When the Russians invaded Afghanistan they discovered this huge copper resource. Google Aynak Copper Mine and learn something. The Chinese made big promises to win this bid, now they are having second thoughts. Don't forget Stan, that the true reason we invaded Afghanistan back in 2001 is because of it's vast underground mineral resources although the Bush Administration used 9/11 as the official excuse. We need to just pull out like the Russians did back in 1989 and hand that country over to India, like Gerald already said below or to the J apanese. These people can just as easily protect these resources. Now we're going to go paying these bozos for years to come. That money would be far better spent here at home. Let India, for example, pay these clowns for a change!